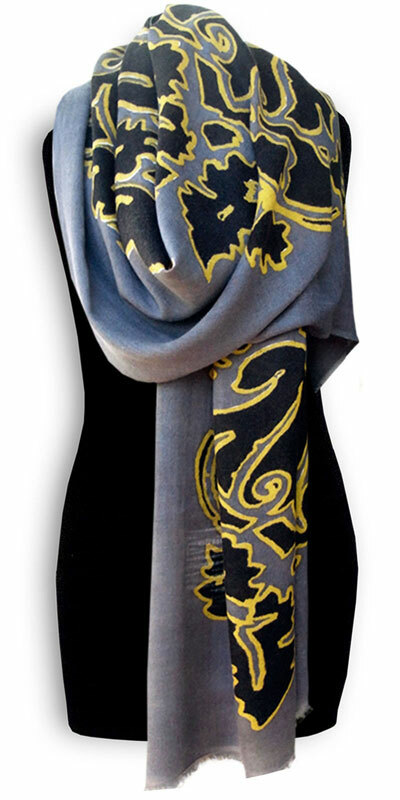 The Museums style Collection means Art goes fashion in highest perfection. 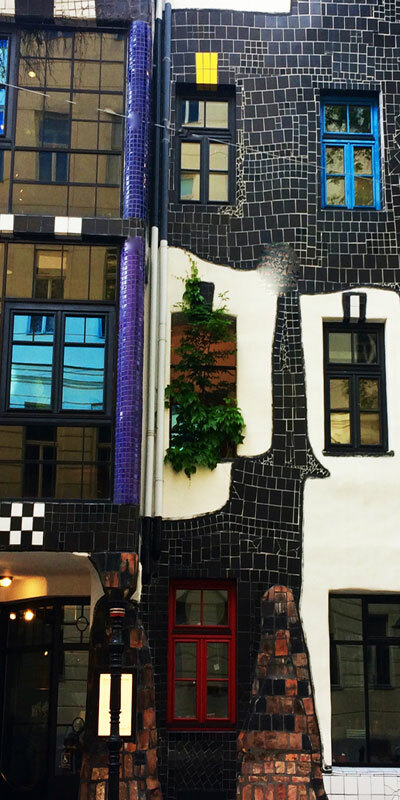 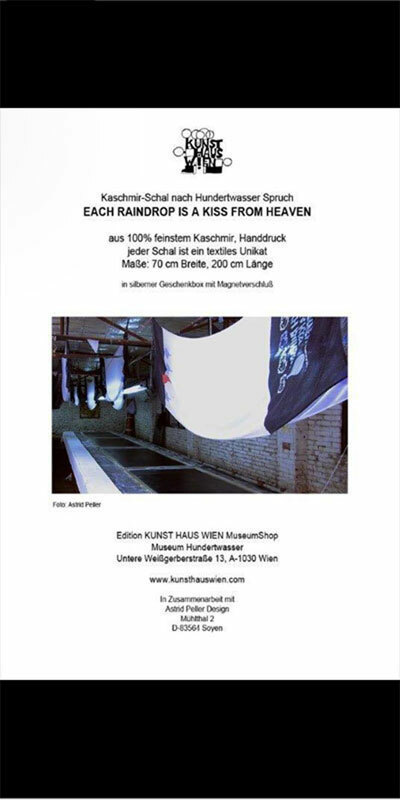 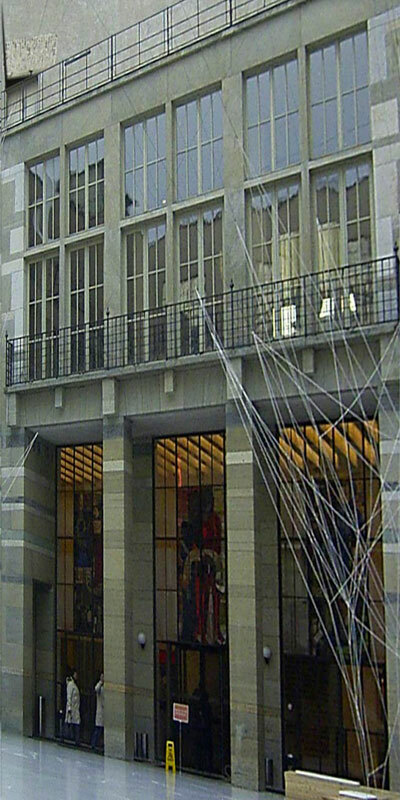 The masterpieces of the great painters are like a never ending inspiration for the designer Astrid Peller. 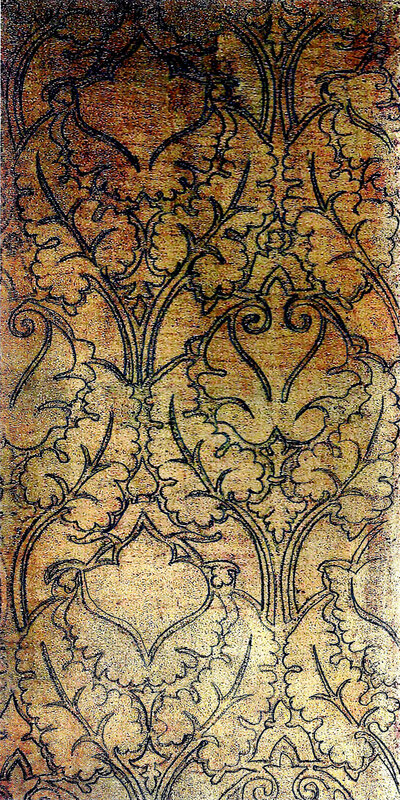 The most beautiful dessins are adapted by the famous paintings and landmark architectures from the Renaissance until today. 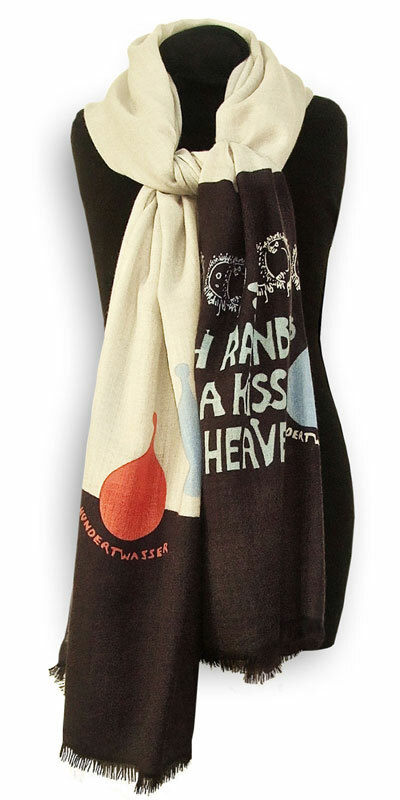 In cooperation with well-known distributors of international museums shops, for which Astrid Peller and her team have designed the exclusive masterpieces made out of finest Himalaya-cashmere. 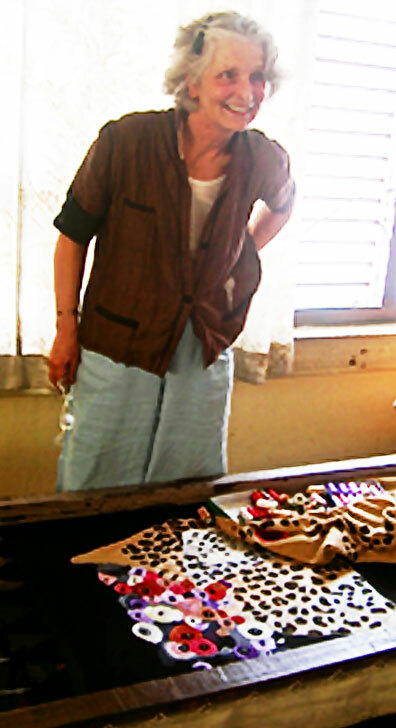 The artist of embroidery in Kathmandu produced the template on the unique access in a time consuming process, which fully demands their handcraft skills. 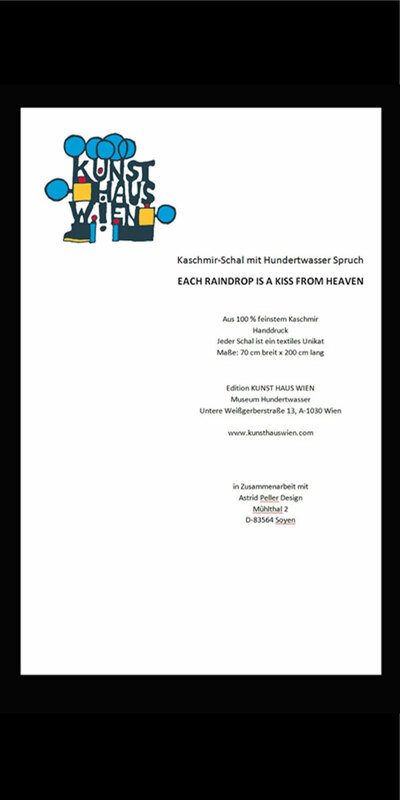 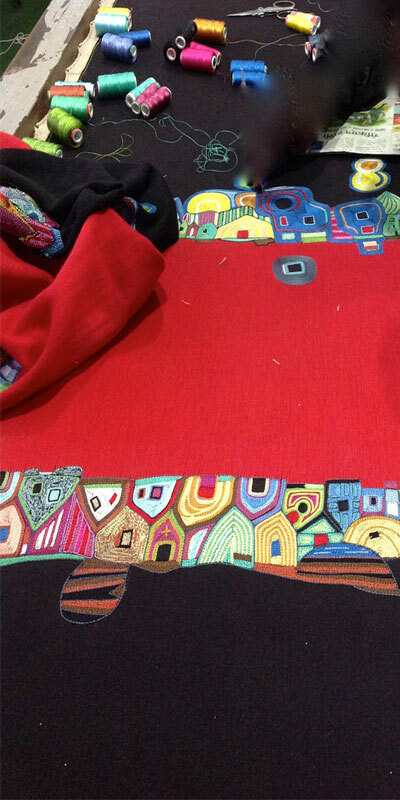 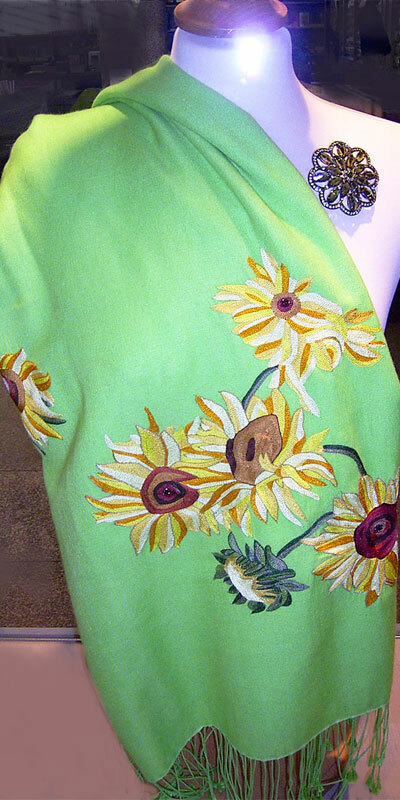 Very fine silk treads and small beads out of glass are being embroidered on the super soft cashmere scarfs, which motifs are works by Konrad Witz, Vincent van Gogh, Joseph Maria Olbrich or Friedensreich Hundertwasser. 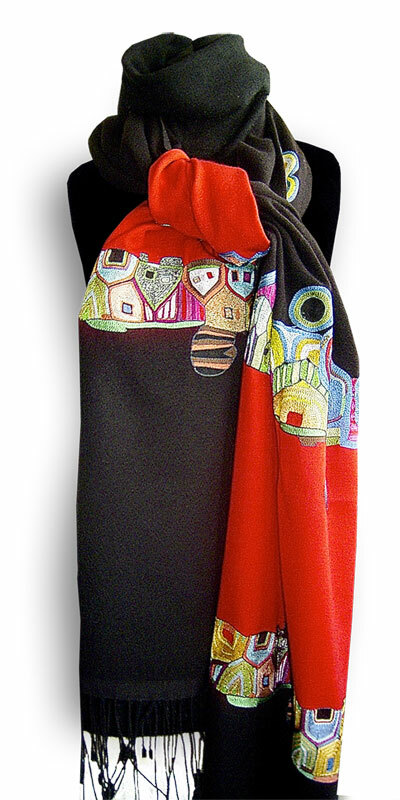 A larger choice of the big cashmere shawls with marvelous dessins can be found in the Online Shop under the category ART YOU CAN WEAR. 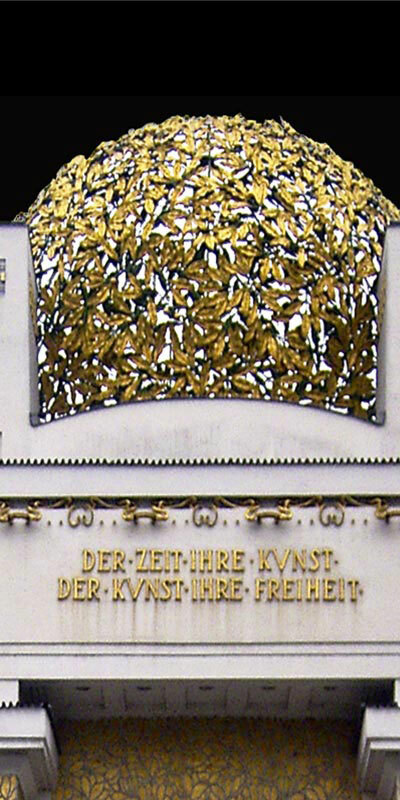 The sculptor Joseph Maria Olbrich has designed the main door of the museum Secession in Vienna. 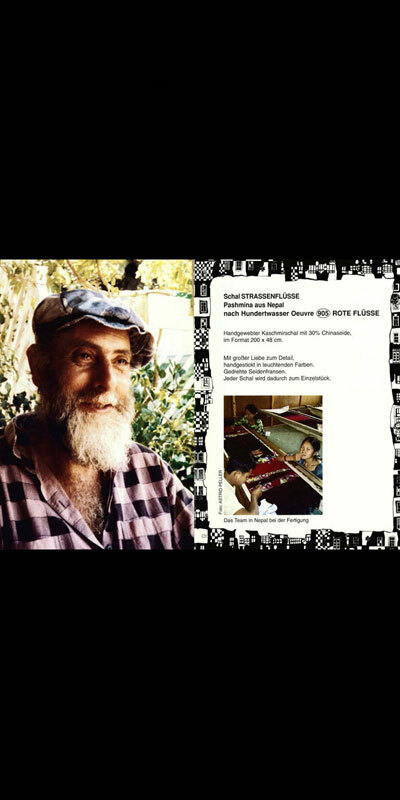 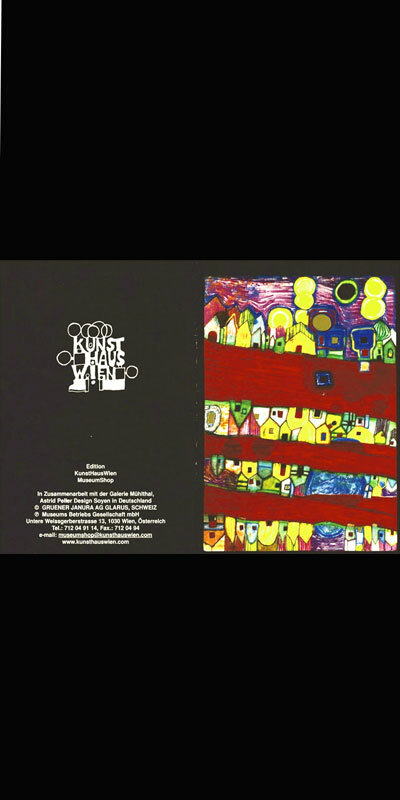 He was one of the artist group around the famous painter Gustav Klimt in Vienna at 1900. 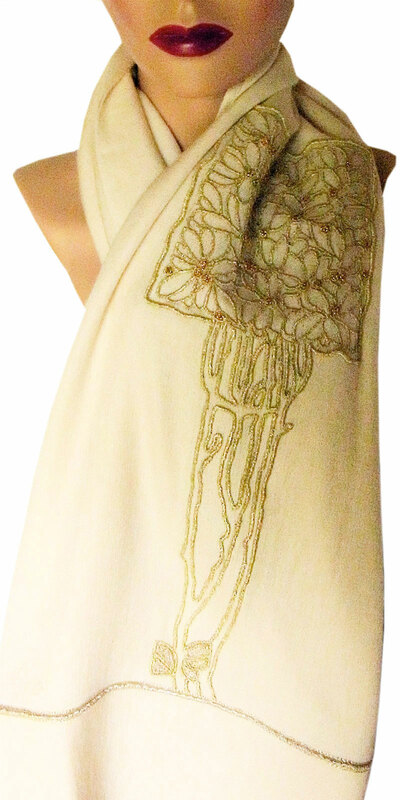 The beautiful dessin on the precious cashmere shawl is inspired by the golden blossoms and leaves on the main door of the museum portal of the Secession in Vienna. 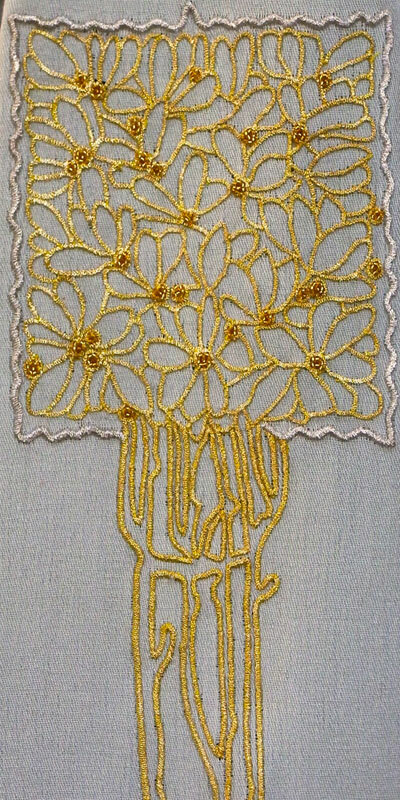 The masterly embroidery is made by hand in perfect manner. 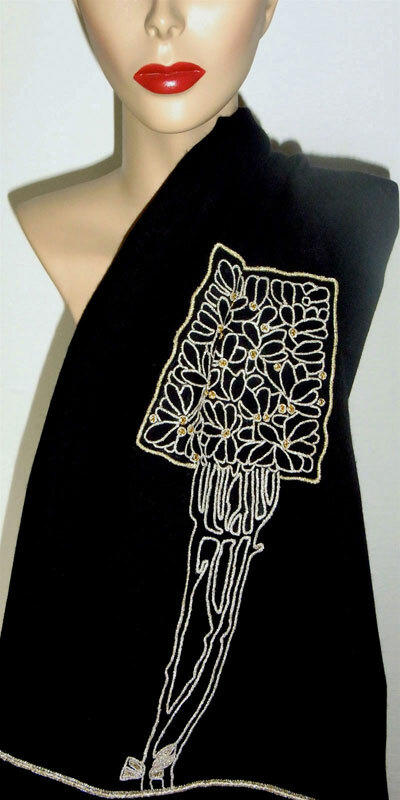 The small golden leaves and blossoms on the exclusive cashmere shawl are embroidered with very fine metal threads. 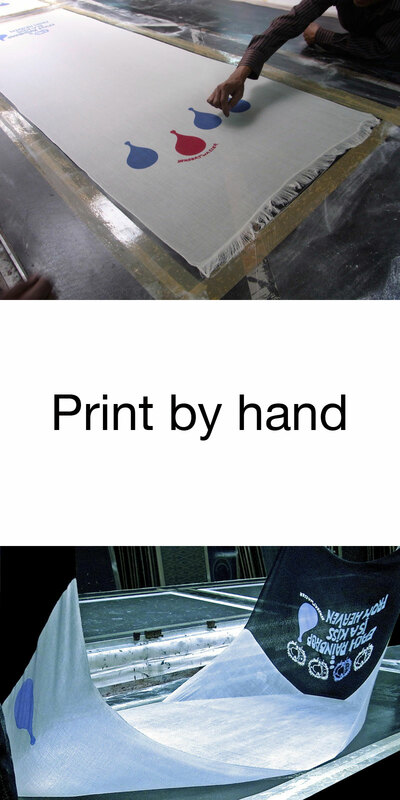 Masterly made by hand. 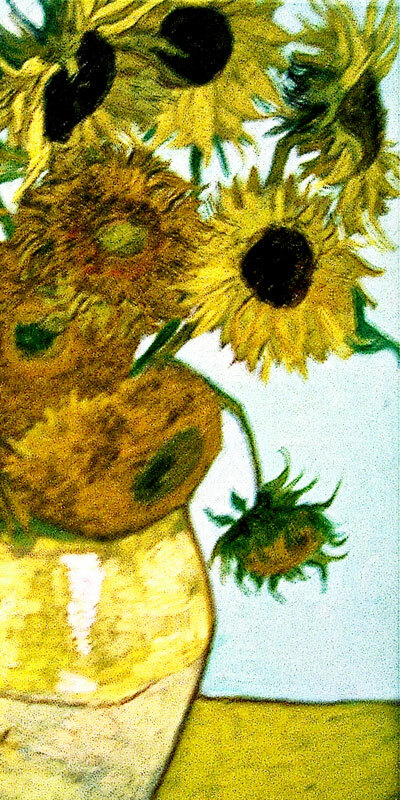 One of the most famoust painter of the art history age Impressionismus, was Vincent van Gogh. 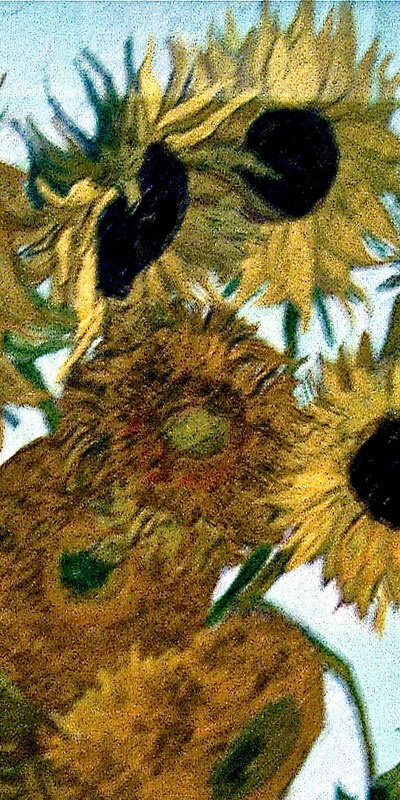 In spite of his depressiv character he has painted pictures in so beautiful colors. 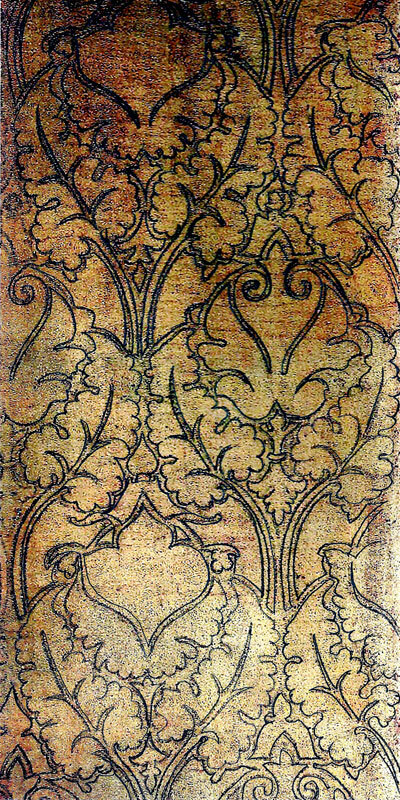 One of his main motif are Sunflowers in Vase. 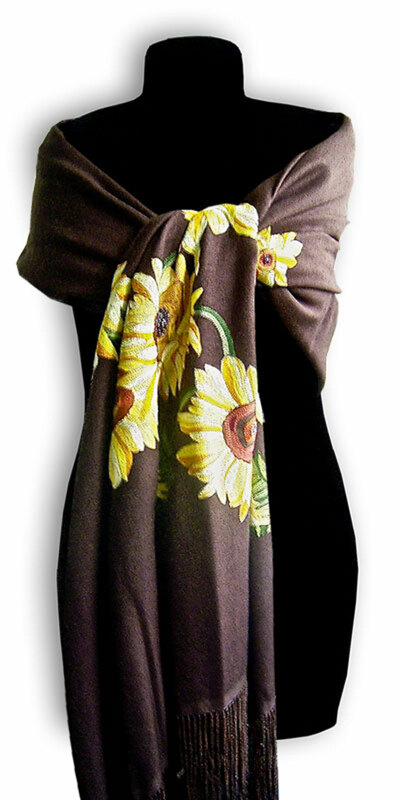 The cashmere shawl Sunflower is a custom made accessory for ladies who like fashionable styling on high level. 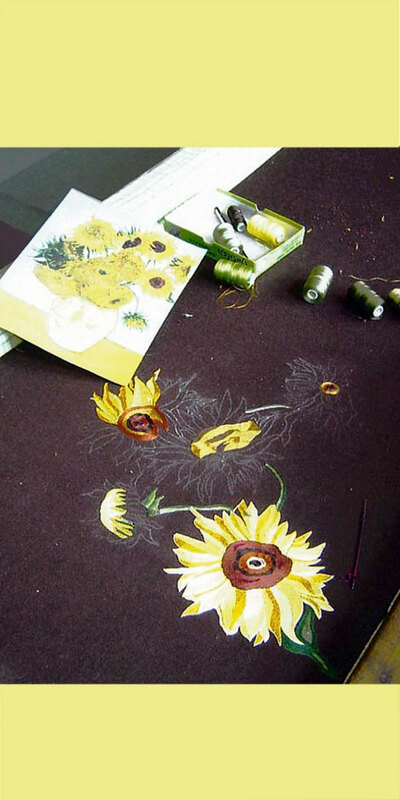 The embroidery for the dessin sunflower is inspired by Vincent van Goghs painting Sunflower in vase. 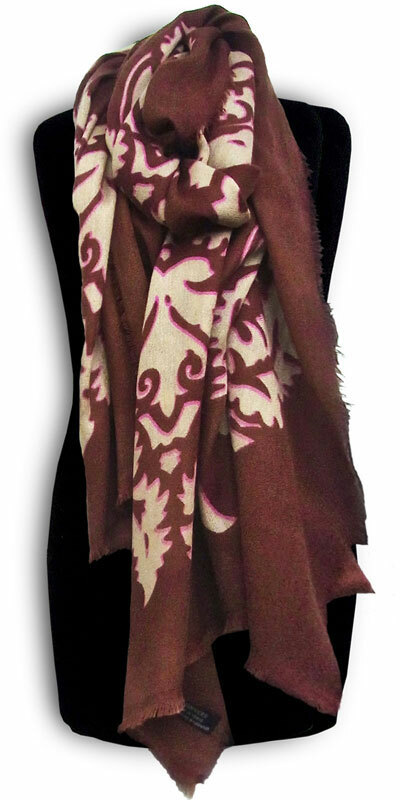 The motif is stitched with very fine silk threads on both ends of the wonderful cashmere shawl Pashmina. The tassle have small beads.